Over the past six months we have found ourselves the targets of incessant attacks and harassment, through phone calls, e-mails, and messages threatening both us and our families. That you already know. What you probably don’t know is that behind the scenes, our website has received unprecedented cyber attacks in size and scope. The aim of these attacks is to break into our servers and reveal the identities of our testifiers – those who have chosen to break their silence. The attacks that have been launched against the site include a variety of methods including brute force password attacks, SQL injections, pen-testing, and a number of different distributed denial-of-service (DDoS) attacks. The DDoS attacks have escalated over the past week, two of them reaching 40Gbps, which are categorized as massive cyber attacka. We are currently preparing a full analysis of the attacks that have been levelled against us over the past months. This data is being examined and verified by a variety of international internet companies, researchers, and worldwide security experts. 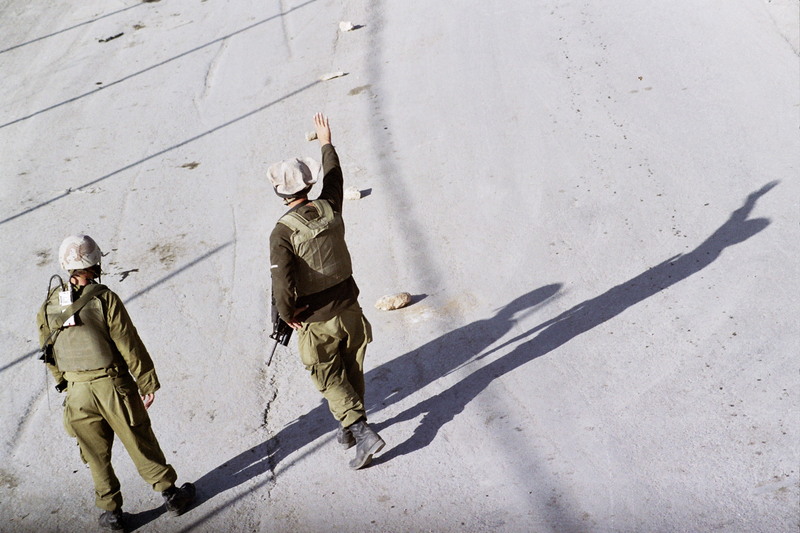 Among other findings, evidence points toward the criminals being based out of Israel. “Hiding behind virtual servers and anonymous services will never 100% protect the culprit. There will always be a point at which the hacker will make a mistake, as minute as it will be, which will expose their true identity. Ego and curiosity always lead to errors.” – Lundstrom, Director ofVirtualroad.org technology, Breaking the Silence’s server service. Working with BTS and other local Palestinian and Israeli activists, Chabon and Waldman invited two dozen acclaimed writers from around the world to visit the West Bank and Gaza to share what they saw with the world. mongst other topics, the testimonies shed light on the extremely close relations and strategic partnership between the IDF and the settlers. The testimonies demonstrate the way in which settlers take part in - alongside and in coordination with security forces - the enforcement of control over Palestinians. As the IDF Chief of General Staff you are responsible for the well being of IDF soldiers. As the individual entrusted to ensure the army’s appropriate ethical functioning and the security of the State of Israel, we request that you do not close your eyes in the face of the disturbing reality painted by both the occurrence in Hebron and the hundreds of testimonies that we have gathered for over 10 years.